This case study looks at how PepsiCo managed to grab and retain the market space with Kurkure. Executive Summary: PepsiCo launched Kurkure 15 years ago and has retained a dominant market share for the brand despite intense competition from both organised and unorganised players. 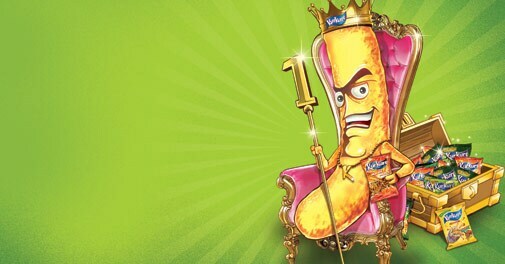 In this period the brand also overcame some challenges including allegations that the snack was unhealthy. The case study looks at how PepsiCo managed to grab and retain the market space. When it comes to describing the 15-year-old brand Kurkure, the Rs 1,000-crore snackbrand of PepsiCo India, the old-timers often talk of luck. One of the members of the founding team, Geetu Verma says, "The birth of Kurkure was part necessity, part serendipity." Currently the Executive Director (food and refreshments) at Hindustan Unilever, Verma had strategised the brands launch in 1999. The need was to carve out a space as a competitor to namkeen and capture the market faster than potato chips. Initially the team's challenge was to differentiate the product in a market where potato chips at Rs 300/kg were also a significant premium to the namkeens, the traditional Indian salty snack, at Rs 100/kg. The luck was in how Kurkure did stunningly well in the market. Kurkure now commands 60 per cent of the market share in the so-called bridge segment of snacks. Unlike potato chips or namkeens, Kurkure offered a different and compelling taste experience thanks to the different technology used to make it. The ingredients are fed into a machine that makes puffed extrusions or collette, which are then cut to desired length. It was a new experience for India and PepsiCo India managed to offer a compelling taste at a competitive price. "We had the same mix as a 200gm bag of namkeen for Rs 20 but we delivered a bag size that was almost 1.7 times bigger," says Verma. While a local snack of same quantity was of the same price, potato wafers were almost double the price. Instead of a purely corn-based product, the team came up with a spicy flavoured Masala Munch made of lentils, rice and corn. "We were not sure if people would take to the new brand and so we had called it Lehar Kurkure," says Deepika Warrier, Vice President (Marketing), PepsiCo India. Lehar, the Indian partner's brand name, was added to Kurkure for access to local taste and cues. The team's concerns were justified as it was angling for a space between the traditional salty snack and the more western potato wafer. The company called it the 'bridge' category and Kurkure, the 'finger snack'. Today, the company commands about 60 per cent market share in the 'bridge' category, which is worth Rs 1,950 crore. The total market for salty snacks in India is worth Rs 13,000 crore and traditional snacks account for Rs 5,200 crore. The puffed snack market too is valued at Rs 1,950 crore. The potato chips/wafer market is worth Rs 3,900 crore where Uncle Chips and PepsiCo's Lays are market leaders. Though Kurkure created a new space in the market, the larger challenge for the company was to get the customers hooked to its unusually shape and crunchy texture. "In fact the brand name Kurkure was the outcome of a group discussion in which consumers sampled the brand and repeatedly said that it was nice and 'kurkura' (crunchy)," says Dr T.S.R Murali, Head of R&D, PepsiCo India. The first objective was to start consumer trials. "We stuck to the consumer feedbacks and used the advertising line Kya Karen Control Nahi Hota," says Warrier. However, advertising was not the only strategy that the company relied on. While consumer trials were on, the sales team also launched an orange parade. "I remember being in Chandigarh, which was one of our first launch markets," says an industry veteran. All the three-wheelers carrying the product were painted orange. Almost the entire sales team had assembled in Chandigarh to ensure 100 per cent coverage of outlets in 10 days. Its success led to it being repeated in other regions too. "It was perhaps one of our fastest market placements ever. We knew in the first 30 days itself that there was no looking back," says a former PepsiCo India employee. The company was relying on communication and also pushing the boundaries of marketing innovations. "They were the first in the segment to start selling ladis (string of packs) that we could hang out in our stores," says a shopkeeper. He lauded the company which in 2001 had provided racks outside the shops to display the brand. After the product was established in the market, the phase II plans took off. There was a need to make Kurkure a central part of the tea-time. The company by then had clearly delineated between Lays and Kurkure brands. "We decided early on that it had to be part of the tea-time. It was this irrepressible, loud, desi brand that was affordable. Lays appealed to the youth, was Western in its taste cues and an impulsive out-of-home snack," says Warrier. As part of this, in 2005, the company roped in actor Juhi Chawla as a celebrity brand ambassador. The brand also kept pace with the flavour of the season - teleserials. The tagline 'Kahani Mein Kurkure' was launched where Chawla spoofed the character of Tulsi in the Kyunki Saas Bhi Kabhi Bahu Thi soap and the brand humorously wedged itself into the mainstream. The 'Kya Family Hai' campaign tried to capture the dysfunctional family that came together at tea-time. In 2007, the company was caught off-guard when ITC Foods launched Bingo. "Their communication was gaining traction and the product caught consumers' attention," says Warrier. PepsiCo started the Tedha Hai Par Mera Hai campaign that allowed the company to win back attention of customers from Bingo, which had a variant called Tedhe Medhe. There was a minor communication challenge too when the brand switched to 'Kya Family Hai' campaign. "We thought we might create a more real family if the protagonist wasn't a celebrity like Chawla. So then came the job of telling Chawla that she was not going to be Nikki, the protagonist in our new campaign," says Sonia Bhatnagar, Executive Creative Director, JWT. But that could not be managed. Though Chawla did her role well, the feedback was not satisfactory. The brand was also embroiled in a controversy in 2008 when allegations surfaced on social media that Kurure contained plastic. "We have countered it in whatever platform it surfaced on. This issue has withered away," says Warrier. However, many local competitors were mushrooming. Significant among them were Balaji Foods, Yellow Diamond and established brands DFM Foods with Crax brand and Haldiram's and Bikanerwala.Between 2009 and 2011, the number of local players rose from 1,378 to 2,863 and PepsiCo lost two to three per cent market share. The competition forced it to be innovative again. Around 2005, the brand had begun widening its consumption base in a manner similar to that of Cadbury's ad campaign through which it tried to put itself in place of traditional sweets. 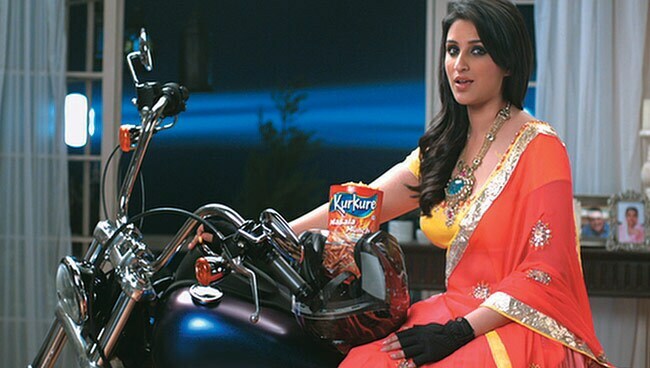 Kurkure made a similar attempt with its campaign Meetha Sheetha Chodo, Kurkure Kha Ke Ho Jao Mast. It also scaled down price to launch Rs 3 packs in 2004 and Rs 2 packs in 2011. The brand created excitement with its own versions of Desi Beats in 2009. "We used some tactical exercises where we combined our brands and offered attractive discounts," says Warrier. "We have allowed Lays to take a correction but not Kurkure's. We worked on scaling down the packaging costs while keeping quality intact," she says. Industry sources say Kurkure continues to hold 60 per cent of the market share in the segment. All others such as Bingo, Yellow Diamond, Balaji and Bikanerwala together accounts for less than 25 per cent. "We will continue to take the high road of product innovation and have recently entered the puffed snacks range. There will be regionally strong players and there will be times when some others could come up with something new, but we are not taking off our eyes from the ball," says Warrier. "Kurkure must continue to come up with new products regularly"
The market for namkeen is huge in India. But the quality of the offering by the local vendors is questionable. Indian consumer associate salty snacks from the global companies to high quality. But these snacks have limited appeal as they prefer spicy snacks. Kurkure has been successful because it offered alternatives that appealed to the Indian consumers' preference for spicy snacks in an innovative form. The packaging too was perceived as high quality. Though the category is competitive, it offers the benefit of easy experimentation. Kurkure has done well so far. To maintain its dominance, Kurkure must focus on innovations in the marketing mix and address the needs, tastes and behaviour of Indian consumers. Kurkure must continue to come up with new products regularly. Despite growing competition, the Indian market still offers tremendous opportunity that Kurkure can exploit. For example, there are special-occasion snacks and region-specific snacks that Kurkure can offer. The Indian market is changing. Consumers prefer products that are healthy and environment-friendly. Packaged snacks are generally not considered healthy. So there is an opportunity to create value for consumers in new ways. Perhaps new product formulations and/or environment-friendly packs can be used to enter new and growing segments. Overall, the company can maintain its leadership through innovative new products that maintain the taste and quality parameters. "The embracing of the unusual and the imperfect as a brand philosophy seems to be an opportunity"
Today it is important to generate conversations around a brand. When are people most likely to engage in conversations? When they're passionate about something. So if one can hook a brand on to a cause, a conviction, an opinion that people really care about, there is a better chance of creating the highest order of connect through cultural branding. That's what some of the progressive Indian brands are attempting to do and Kurkure alongside Idea and perhaps Tata Tea are a few of the frontrunners. While cultural brands have a universal prevalence with Coke being perhaps its most iconic example, the flux of the emerging markets works as a more conducive cruicible. Especially the pluralistic societies like ours with strong history and culture, when subjected to high degree of social change simmer with numerous sociocultural tensions. Examples of it are many. Unassisted nuclear family parenting in competitive high growth societies has turned hyper and is causing substantial parent-child relationship trauma. An apt Kurkure Ambassador Juhi wears a defiant mask in a parentteacher meeting to ward off the critical comments of a hyper teacher and defends her 'tedha' child. Don't we all feel like defending our overburdened little ones succumbing to needless competition? Or for that sake the conflict of swarthy Indian maleness suffocating under the borrowed cloak of metrosexuality. Once again a less than coy Kurkure Ambassador defies her extra choosy dad by voicing her endosrement of a cute but crude prospective 'tedha' groom. The embracing of the unusual and the imperfect as a brand philosophy seems to be an opportunity. This is a wonderful possibility for a brand like Kurkure that has its genesis in its innovation as a 'bridge product'. The highlighting of the demand driver of crispness in its sound and layering the product uniqueness level through the spicily defiant 'tedhapan' remarkable evolution.